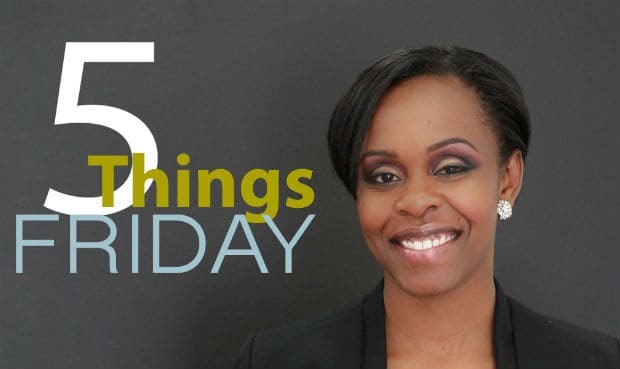 Five Things Friday is a departure from the interviews and features we typically post. Part conversation, Part Proust Questionnaire – but with just five questions, Five Things Friday (hashtag alert! #5TF) shows the lighter (and sometimes sillier) side of our interviewees. We’ll be talking to everyone we can get our grubby little hands on; it’s our way of introducing you to the communications, marketing and creative cognoscenti who rock their respective industries. This week, writer Claire Francis picks the brain of Emily Mills – Senior Communications Officer at CBC and “sheEO” of How She Hustles. You’ve gone from an independent journalist to your current position as a Senior Communications Officer at CBC. What first attracted you to working in the media? I didn’t see myself reflected enough in media – voices like mine felt like the exception, not the norm. We still have a long way to go in our industry to reflect diversity – different cultures, perspectives and expertise. Not just in the spotlight, but also behind-the-scenes. So rather than just complain, I decided to become part of the change I wanted to see. I started writing about what mattered to me – from hip hop and race relations, to gender politics and the need for more diverse voices in media. As I matured, so did my interests in a variety of areas. The transition from journalism to communications then happened organically over time. If you’re passionate about people, have solid research and writing skills, and know how to package a compelling story, working on either side of the fence isn’t hard. I’ve also had some incredible mentors and role models. I have been blessed to work with many media pioneers – from Jazz FM’s Garvia Bailey, to CTV’s Marci Ien and Karlene Nation, to CBC’s Dwight Drummond. Their very existence in the biz – and their encouragement – helped me get to where I am today. As you’ve pursued your career goals, what are some of the challenges that you’ve faced? 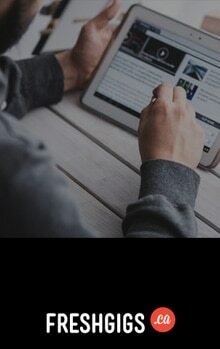 I’ve gained a lot of experience through freelance and contract work. It’s stimulating to take on new roles and new projects from time to time. While this type of career path definitely has its benefits, it also means constantly adapting to new people, new responsibilities and new workplace culture. That can take some time. I wouldn’t say that’s a challenge, but I would say I’m mindful of my reality. Rather than just complain, I decided to become part of the change I wanted to see. I see How She Hustles as the foundation for a new narrative around women’s organizations in this city, and this country. That makes me proud. That seems like a great starting point for a legacy. Beyond that, I strive to give my best as a wife and mom. There’s nothing more important than the legacies we create within our families. What experience from your past has shaped you the most? I lost a beloved family member years ago, and her memory inspires my hustle in so many ways. She was at her prime – a wife, mother, and on the verge of an impressive new chapter in her career. Just three days before her graduation from medical school, a car accident ended her time with us here. That difficult experience – and the memories I cherish because of it – has shaped so much of what I do and the way I live. Her spirit guides my work with How She Hustles, and my commitment to volunteering and giving back to the community, just like she did. Most importantly, she reminds me that time with our loved ones is never promised. So despite the relentless hustle of life, I do my best to cherish each day. You’ve accomplished a great deal—from your work as a journalist, to How She Hustles and your current position with the CBC. What’s on your horizon? More quality time with my hubby and kids this winter. I’m deeply passionate about my career – but also my family. When I returned to CBC this summer after mat leave, I was honoured to work on portfolios including the Pan Am Games, the federal election and our annual holiday charity drive. It was busy but very rewarding! I also hosted three sold-out How She Hustles events in 2015. And I’ve had several speaking opportunities as well. What happens next in my career and with the network? We’ll have to see what 2016 brings! Through How She Hustles, for example, I’ve hosted five years of sold-out events and am connected with 3000 diverse, influential women on social media. All without any paid advertising or any major corporate sponsors. This is only possible with an army of wise supportive women, who spread the word. That’s not just what I do, but it’s who I am. Emily Mills is a proud wife and busy mother of two. She has a successful career in media and communications that spans 15 years, and is the founder and sheEO of How She Hustles, a vibrant network that connects women through special events and social media. Emily was recently nominated for a YWCA Toronto Women of Distinction Award, named one of 100 Black Women to Watch in Canada and received the inaugural Women’s Empowerment Award at the Black Canadian Awards. Know anyone who would be a great fit for #5TF? We want to hear from you. Drop us a line, or leave a comment below. It was a great experience all around, Emily. Thanks for participating! Great interview with Emily!! Love it.